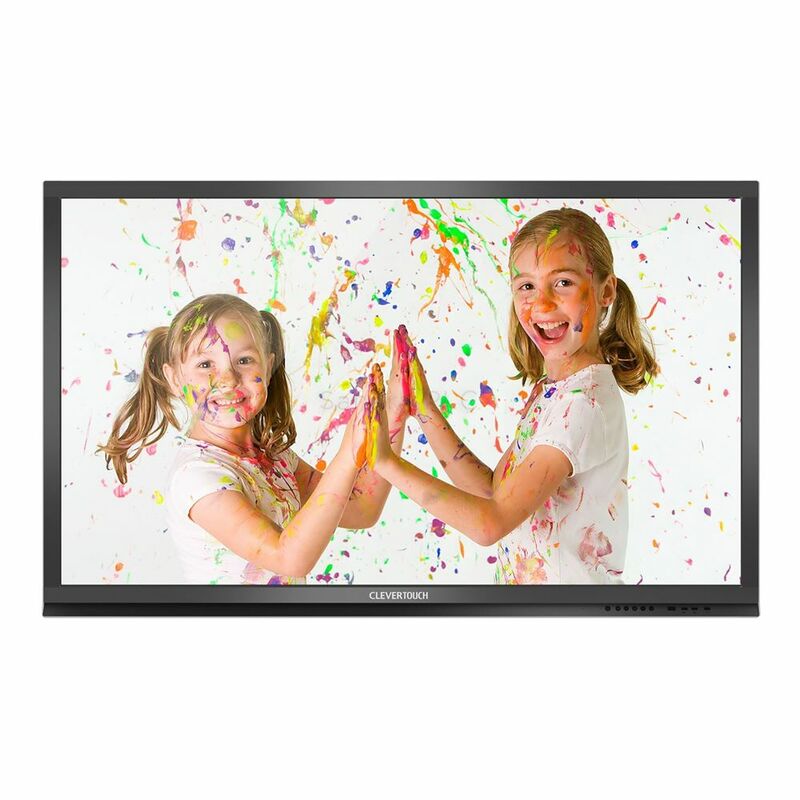 Clevertouch Plus is the first generation of Clevertouch and comes with in-built Android OS 4.2.1. Optional slot in PC available. Incorporating a 6369 android chipset and Infrared touch frame. Serial numbers begin K55, K65 etc. Check there is power to the screen. Check the power switch is in the on position. Check the correct input is selected. Check the source equipment, such as a laptop is outputting a picture signal correctly. Check the video cable connection between screen and PC. Check the video cable is inserted in the correct socket. Try a different video cable. Try a different PC. Bypass any wall plate connections for testing. How do I lock or unlock the buttons on the front bezel of the screen? The red button on the remote control locks and unlocks the front buttons. TIP: Please tap the red button QUICKLY to lock or unlock the buttons. How do I enable the wifi in the Android system? You should use the TPLink wifi dongle to make use of the wifi connection for the Android system. This can normally be inserted into one of the Android USB sockets on the front bezel. But if wifi does not enable when it is inserted in these sockets please try the USB2 socket on the side of the screen, or the USB2 socket at the top of the screen. On the Android home screen select Apps, then select Settings. A wifi option should be shown in the list on the left. Select this and move the slider to ON to activate wifi. Adjust details and settings as necessary. How do I set my own background in the Andoid system? Open an picture in the image viewer in the Android system, then select the settings button (small gear wheel), there will be an option to set image as background. 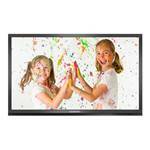 Can I use a Clevershare with a Clevertouch Plus? Yes, the Clevershare can be used with a Clevertouch Plus. My screen seems to be stuck in an update loop. This is often caused by a stuck bezel button. Please check that each button is functioning correctly. Does it depress and then release correctly. How do I start Apps ? How do I use the built in Browser to visit a website? How to access your settings? How do I access files on a USB drive using the Finder? I cannot draw or write in Smart Notebook. Please download and install the Windows Touch Driver to enable full interaction with Smart Notebook. I cannot access the Cleverstore. Do you have a Cleverstore app button either on the Android home page or on the Apps page? If not please raise a New Support Case. If you have a Cleverstore button but it does not connect correctly please check the date and time are correct in the Android system settings. Also please check that the following URLs are permitted through your network: https://prod.sahara-admin.appcarousel.com/api/v1/export-products https://prod.sahara-admin.appcarousel.com/api/v1/export-categories The app connects to our servers over port 443 (standard https) and port 80 (http). Videos will not play in Youtube. A setting change must be made within the android browser to enable playback of video in Youtube. Within the browser open the settings menu by tapping on the three dots in the top right corner. In the menu select Settings, then select Advanced. Now in the list on the right tap on Set User Agent. Change the setting for this to 'android 2.3 user agent'. Now close the browser and reopen it for changes to take effect. Videos should now play in Youtube. Airplay will not start. I cannot use it. Please refer to the guide in the download section named 'Guide to re-enable android browser controls'.